Amy Marion is a litigation partner with Abrams Fensterman, Fensterman, Eisman, Formato, Ferrara, Wolf & Carone, LLP. Her experience includes a wide variety of substantive areas of law including civil rights, criminal, municipal, commercial litigation, wrongful death claims, breach of contract, partnership disputes, estate litigation, domestic abuse, and environmental issues. In 1997 Ms. Marion entered private practice where she built her reputation in federal court as a formidable civil rights litigator. In a case which was featured in The New York Times, Ms. Marion was lead trial counsel winning a settlement in excess of a million dollars for the brutal treatment of individuals being held in an INS detention center. In 2005, Ms. Marion became Principal Law Clerk to the Honorable Tammy S. Robbins, Nassau County Court Judge and in 2010 she returned to private practice. Ms. Marion’s cases have been featured in The New York Law Journal, The Wall Street Journal, The New York Times, Newsday, The Daily News, and The Associated Press. She has taught Civil Rights law; she has lectured and has taught continuing legal education for the Nassau Courts Criminal Courts Bar Association, the New York State Association of Criminal Defense Lawyers, NBI, and Lawline. 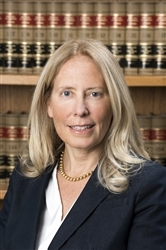 Ms. Marion is the President to the Nassau County Criminal Courts Bar Association, the New York State Association of Criminal Defense Lawyers’ Legislative Committee’s Co-Chair, a member of the Nassau County Judiciary Committee, counsel to the Committee for a Sustainable Waterfront, and counsel to Sea Cliff Open Government. Ms. Marion’s published articles include Attacking the Introduction of Child Sexual Abuse Accommodation Syndrome Testimony (New York State Association of Criminal Defense Lawyers, Atticus, Volume 25 Number 2 Summer 2013); Reasonableness: Has It Withstood the Test of Time? (New York Law Journal, Outside Counsel, September 12, 2013); Prison Reform: A Tug-of-War Between Business and Humanity (TheLaw.TV, October 9, 2013); and How To Retain An Attorney (TheLaw.TV, 2013). Ms. Marion has been quoted in numerous articles including Bloomberg Filings Put Successor In Stop-And-Frisk Bind, Law 360, September 4, 2013; Bloomberg Attack on Stop-And-Frisk Judge Riles Some Attorneys, Law 360, August 14, 2013; Cellphone Search Confusion Begs For High Court Review, Law 360, May 2, 2013; District Attorney Says Two Bernie Fine Accusers Credible, USA Today, December 2011; Penn State Officials’ Fate May Turn on What They Heard, Bloomberg Businessweek, December 16, 2011; A Case Against Boeheim, Syracuse Could Be Tough To Prove, December 14, 2011. She has been a New York Metro Super Lawyer for numerous years, as well as a Top Women Attorney in Metro New York and Top Attorney in Metro New York. Ms. Marion received her Juris Doctor in 1988 from Hofstra University School of Law, and was awarded the Inns of Court Scholarship. In 1984, she received her Bachelor of Arts in the specialized Social Thought and Political Economics program at the University of Massachusetts, Amherst Massachusetts. Decisions and cases published in The New York Law Journal, The Wall Street Journal, The New York Times, Newsday, The Daily News, and The Associated Press.